Jamaica, NY, March 21, 2017	(Newswire.com) - APE recently teamed up with Lita Construction to install 22 each 7.625" dia. 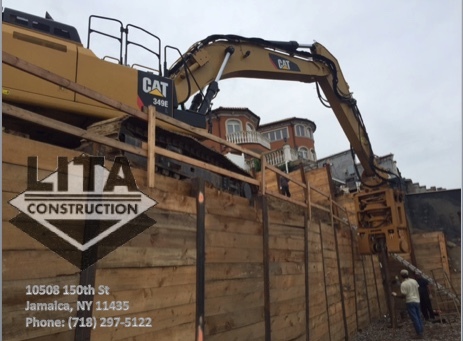 pile at a 40' depth to support a 19'-6" tall cantilevered retaining wall. This wall was constructed in efforts to expand the usable square footage of a residential lot over looking the East River. 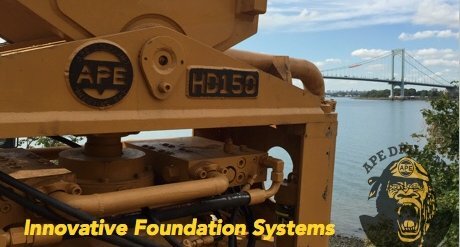 American Piledriving Equipment (APE), based in Kent, WA, is the world's leader in research and development, production and sales of foundation construction equipment. APE produces the world's largest pile drivers, and has offices in every corner of the United States, Asia, and has distribution worldwide. APE has a unique way of doing business in the deep foundation construction industry. They devise, manufacture, load, and ship their own products. APE is the leading industry expert who builds innovative foundations for buildings, bridges, utility poles and structures of all sizes with a focus on modern and green technology. 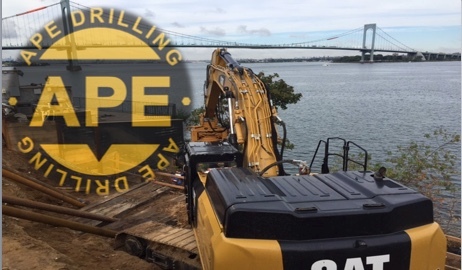 They specialize in producing their own pile material and installation tools, patented steel piles, grouted piles and micropiles, excavator-mounted Muli-purpose HD Drivers, as well as geo-exchange building heating and cooling systems. All 22 piles in this project were designed to incorporate APE's Geo-Exchange System. This system creates a closed loop that can be run in series to exchange the water temperature circulating through the loop with ground temperature for both the heating and cooling needs of the Home. Load testing was preformed proving a 280 kip ultimate load was achieved on the piles and a geo-thermal strain test was carried out to qualify that the design minimum of 110 btu's per/ft was met. 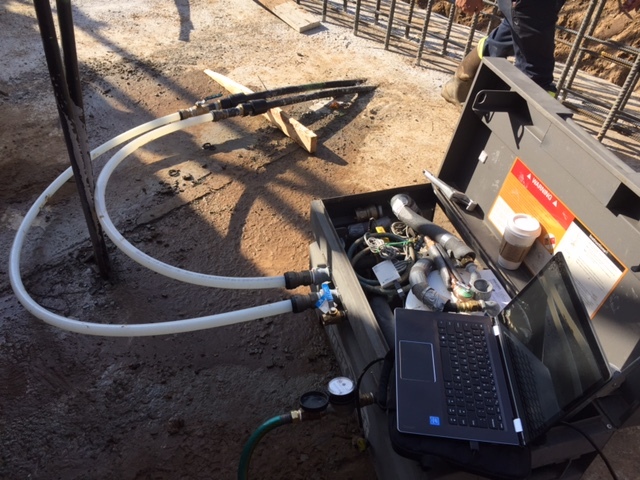 Post testing results not only achieved 110 btu's, but exceeded expectation by over 90 btu's per/ft in each of the piling.